Bunyad Foundation has successfully implemented nineteen projects in eighteen districts of the Punjab province. These projects were able to reach 212,698 women, aiming to raise awareness about women rights, and the opportunities they could avail to assist their socioeconomic empowerment. The prevailing patriarchal culture in Pakistan generates a restrictive and oppressive environment for women, who are considered derogatory or inferior relative to their male counterparts. Moreover, it is not considered acceptable for women to have a place beyond the home, as a result of which women remain uneducated. Women find themselves unable to raise their voice to protect themselves from physically or emotionally violent men, and are unable to fight for their rights. In Islam, women are awarded a high status. Women in the Prophet PBUH’s life were educated, employed, and treated with utmost respect. In Pakistan, however, the society remains discriminatory against women, who constitute more than fifty percent of the total population. Simply, the slanted perception that a daughter has not role to play in the family matters, results in violence and discrimination against them. Bunyad Foundation believes that women are integral pillars in determining the future of any nation by the level and quality of investment in their children’s health, education, and civic socialization. In an underdeveloped country like Pakistan, women are living on the margins even after decades of state independence. They remain neglected, exposed to various fundamental rights violations, abused in gender justice, and exploited in economic self-reliance. Bunyad Foundation finds that illiteracy as well as women’s economic dependence are great obstacles to their socially empowered status. 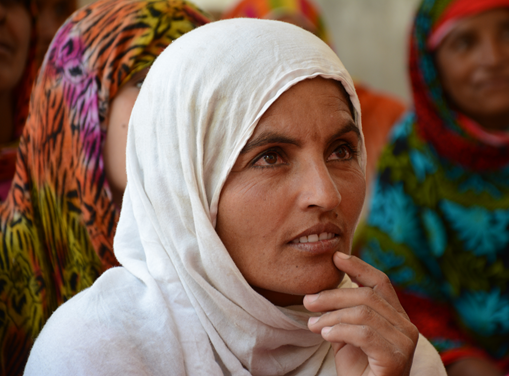 Bunyad believes that educating women about the rights they are entitled to is extremely pivotal. Bunyad Foundation advocates for the fundamental rights of women, particularly in the educational and economic sectors. In this regard, the Foundation has implemented nineteen projects in eighteen districts of the Punjab province and reached 212,698 women to raise awareness about women rights. These interventions were made solely in far-flung rural areas where women has least opportunities and information can be empowered. Beginning in 1996, BUNYAD Foundation has implemented nineteen projects with the aim of empowering women across eighteen different districts. Among the nineteen projects, almost half were implemented in two or more districts. The first project to empower women was implemented in district Hafizabad where, in total, 10 projects have been implemented solely to raise awareness about women rights. Bunyad Foundation has been awarded grants from the International Labor Organization (ILO), UNESCO, UNDP, USAID, DFID/PSDF, as well as Cardiff University, to implement the projects that aim to materialize women empowerment in targeted locations.